Live Easter Play - Free Admission! 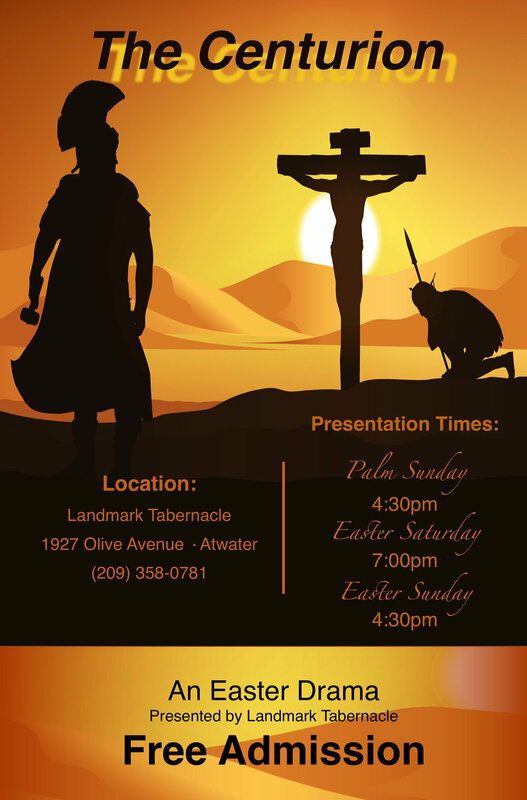 This Easter season Landmark Tabernacle would be honored if you would join us as we present the drama – The Centurion. We invite you to come and experience an unforgettable display of God’s compassion, mercy, and love! Start Time----- Sunday, April 14th 4:30 PM, Saturday, April 20th 7:00 PM, Sunday, April 21st 4:30 P.M.